Mary Ann Tomazin, age 94, of Uhrichsville, entered into rest on February 9, 2019, at Amberwood Manor in New Philadelphia, following a lengthy illness. She was born in Elm Grove, WV, on November 27, 1924, the daughter of Frank and Mary (Ferkol) Tomazin, (both deceased), sister of Frank, (deceased) Joseph Carl, (deceased) Dorothy (deceased) Robert, (deceased), Richard, (deceased) Ruthie Joe (Carl) Barlow of Carrollton, OH and Elyzabeth (Jack, deceased) DeGiovanni of Cleveland, OH; aunt to Valerie DeGiovanni Bowden and great aunt to Dustin DeGiovanni Bowden of Cleveland and many other nieces and nephews. She loved her Eleventh Street Church of God family. 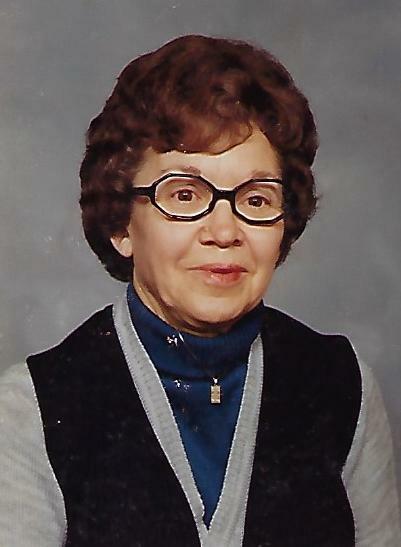 Mary Ann graduated from Perrysville High School in 1943 and worked at the Scio Pottery for 20 years. She was very active in The Grange, making blankets for various hospitals, volunteered with Warm America Care Wear, crochet, knitted and sewed blankets and stuffed animals for Children's wards, Ronald McDonald house, a Linus Blanketeer, Hospice volunteer, Salvation Army Bell Ringer, and collected hearing aids for deaf children. She was a member of the Republican Club and worked the voting polls for many years. Later in life she was a house cleaner/care giver for many in the area. Funeral services for Mary Ann will be held at 7 p.m., on Thursday, February 14, 2019, at the Uhrich-Hostettler English Funeral Home, Inc. in Uhrichsville, with the Rev. Earl Miller officiating. Private burial will be at Union Cemetery in Uhrichsville. Calling hours will be from 5:30 to 7 p.m., (one and a half hour prior to services) at the funeral home. Memorial contributions may be made to the Eleventh Street Church of God, East 11th St. Uhrichsville, O., 44683.